When I met Víctor Maldonado, on my first visit to Chile in 1979, he was a young sociology student who had just been expelled from the Universidad de Chile for his political activity. Víctor was a member of Democracia Cristiana (DC), the Christian Democrat party that formed part of the traditional institutional opposition to General Augusto Pinochet’s dictatorship – as opposed to the militant but largely ineffective underground of the Chilean left. At that time, participation in any political party activity was illegal. What a difference a few decades make. On Friday, when I went with Víctor to visit Santiago’s Museo Caso Frei (pictured above) – the former residence of President Eduardo Frei Montalva (1964-1970) – he did so as the DC’s General Secretary, in charge of organizing its activities throughout the country (shortly after our visit to the museum, he flew to Antofagasta for the day). I was visiting the museum, which opened a couple years ago in the city’s newly fashionable Barrio Italia neighborhood, in the borough of Providencia, for the first time. 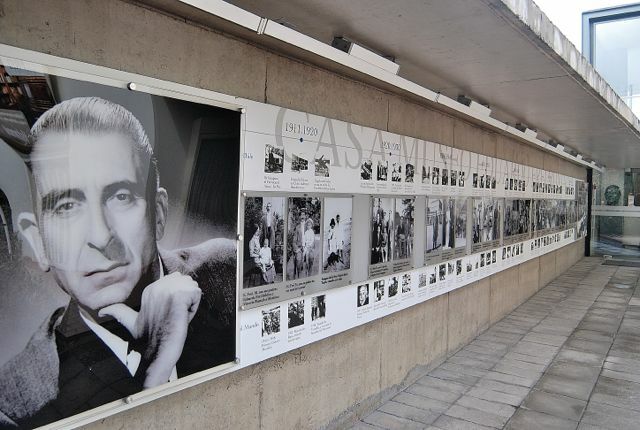 It was also Víctor’s first visit to the museum, but not to the house – he lives just around the corner and, as a youthful political activist, he had met the former president there a couple years before Frei’s unexpected death in 1982. Frei, who had opposed Salvador Allende in the Chilean Congress and initially supported the military coup against him, turned against the dictatorship; according to Víctor, there is consensus that Frei’s death, following admission to the hospital for a minor surgery, was in fact murder. The details, which are still unclear, may well need novelist Roberto Ampuero’s fictional detective Cayetano Brulé to explain them. 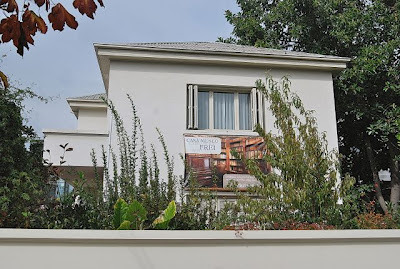 That controversy aside, I found the home (pictured above) and museum interesting because of its very unpretentiousness. To be sure, the former Frei residence is a handsome construction dating from the 1940s but, for a president, it is far from extravagant. Frei’s father was a Swiss-born baker who immigrated to Chile via Argentina and later served as a winery accountant. The future president’s home was soon a crowded one – for a family with seven children, it had only four bedrooms, and the three boys all slept in the same one despite an age difference of ten years between the eldest and youngest. It’s impossible to imagine the four children of current president Sebastián Piñera, a billionaire businessman, without their own rooms. Despite the home’s modesty, Frei received prestigious visitors here (Chile has no official presidential residence). Among them was Britain’s Queen Elizabeth II for dinner in 1968 – in fact, the dining room preserves the place setting for that event. Unfortunately, I have no pictures of it, as museum policy prohibits interior photographs. Another surprise was to learn about Frei Montalva’s commuting habits. Admittedly, those were different times, but during his presidency he eschewed a chauffeur – rather, he would walk from his home to his office at the Palacio de la Moneda (pictured above), a distance of roughly 4.5 km (2.8 miles). Security concerns alone make it impossible to imagine any president, of any country, doing so nowadays. 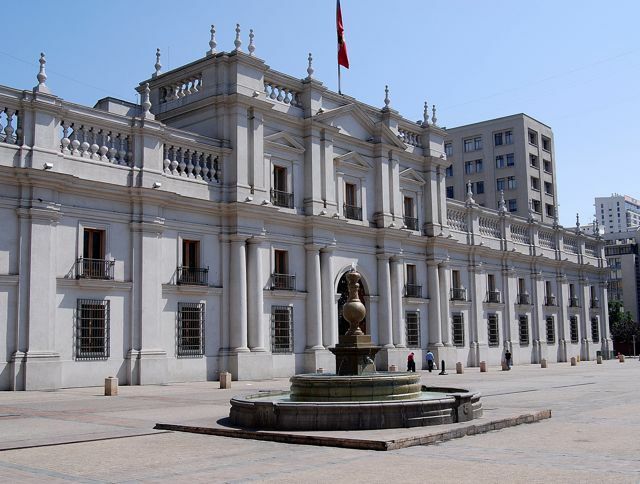 To the best of my knowledge, this is only the second museum devoted to a Chilean president. The only other bears the name of Gabriel González Videla, in his hometown of La Serena. 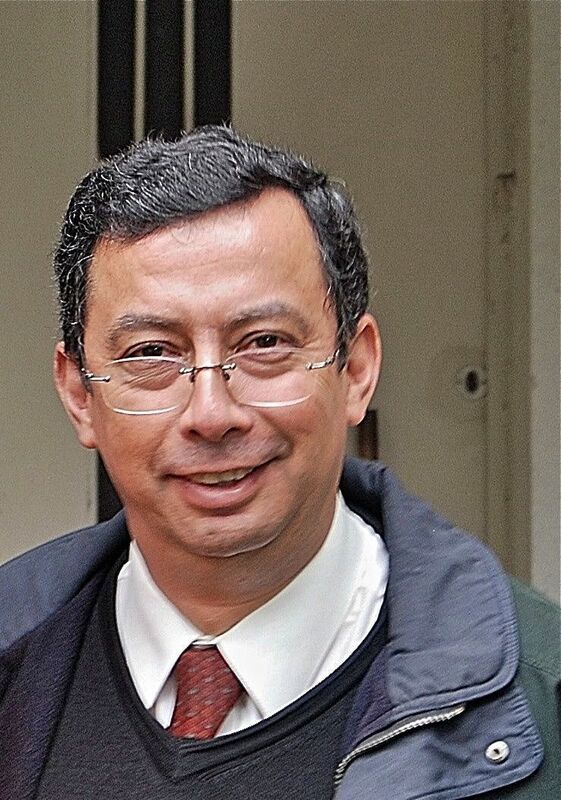 Political postscript: Víctor (pictured above) predicts that former President Michelle Bachelet will win Chile’s next presidential election, at the end of next year, with a possible runoff in early 2014 if no candidate gets a majority in the first round. Her Partido Socialista (PS) is a member, along with the DC, in the coalition known as the Concertación para la Democracia (Consensus for Democracy). Chile's constitution prohibits consecutive presidential terms.